The 1st Floor Seating Area in the Dupont Circle Brownstone was located next to the Confessional Room at the base of the Stairs. 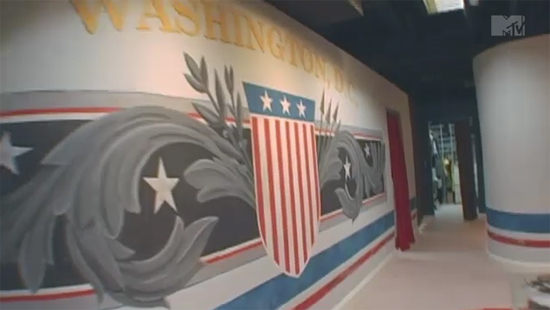 In this picture, you can see the entrances to the Lincoln Bedroom closet and the Reagan Bedroom. The wall of the Lincoln Bedroom from the Seating Area.